Why on earth would an aggressive rollerblade competitor, together with a figure skater, who trained with an Olympic coach, make a trendy and meticulously creative, electro-pop duo? Well, he the rollerblader, is Carlton Moody aka Manifesto, international DJ, producer and violin virtuoso. She, the figure skater, is singer-songwriter, Alyssa Suede. Together they are known as “Rome Will Burn”, and they boldly state that, “Their experiences made extreme discipline and performing for large audiences the norm.” That and the fact that they broke a lot of bones, admits Suede. Rome Will Burn has recently released their self-titled 6- track EP. This was the year of electro-pop disappointments. Many well-known bands failed miserably with their latest releases. I’m starting to notice a pattern wherein bands driven by electronic and synthesized sounds tend to hit the sophomore slump a lot harder than most bands. 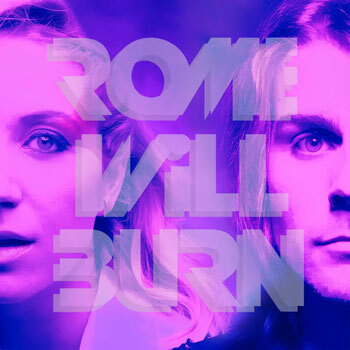 With that in mind, it’s no surprise that this synth and string (violin) gem, Rome Will Burn, is a debut. The hidden gem here is obviously the lead single, “Chameleon”, which has 2 versions on the EP – ‘Clean’ and ‘Dirty’. Manifesto’s restrained synth bass and violin drives the song patiently along until about after the first chorus, and then it lashes out and surprises you in the same way that a roller-coaster does, but then it retreats gently back into its shell only to emerge with a heartbeat breakdown-build-up that requires you to dance. All the while Suede’s vocals shine, shimmer and soar through the verses and choruses. In fact, in thinking about it, that’s what they do so well. Rome Will Burn can take a good song and figure out exactly what delicate bridge of finesse they need to add to make it addictive – you go back and listen again for that bridge, even if you don’t realize that’s why you’re doing it. 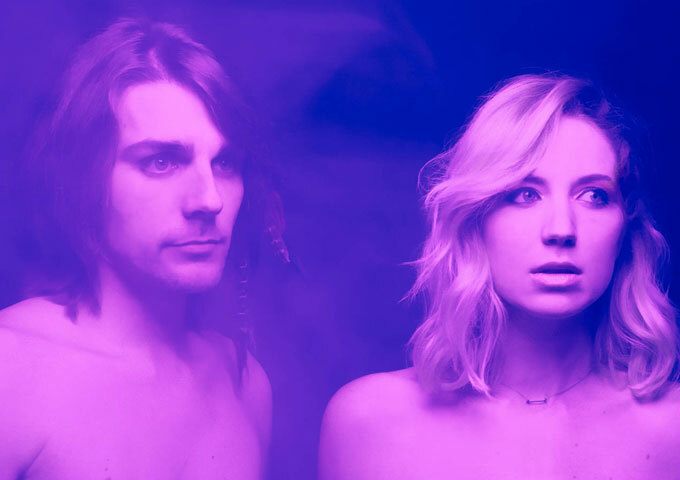 Rome Will Burn is doing their best to stand out in a sea of electro-pop. And on their debut, they do in fact stand out in the best of ways. Accessible and fun yet with an underlying aggression and angst paired with strong beats, the uncannily appropriate violin sounds, and a full bodied vocal, Rome Will Burn has created a recording that many established pop stars don’t seem to be capable of making. Lead vocalist Suede deserves much of the credit for the success of this EP. A lot of similar bands have girl vocals that are thin and whimsical, but Suede has a fuller sound, better range and an uncanny skill at building layers of drama and emotion through tiny tone changes. She can casually get away with quite dark lyrics at times and still have the music sound very danceable and light given her sweet clear tone. Rome Will Burn’s lyrics have an intelligence and layer of complexity that is unusual, considering their candid clarity, “These Three Words” and “Waging Romance” are particularly engaging in this respect, besides being my favorite songs on the EP. 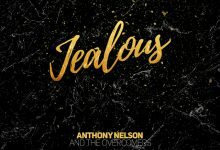 Musically, this EP breaks new ground, with the superb introduction of the violin and when playing the EP through; the songs do stand out from each other which I find is the most common problem with synth based music. The music is also refreshingly straightforward and yet, with Alyssa Suede’s vocals, it has the ability to stomp out major anthems for intense highs. “Live By The Beat” is mind numbingly catchy with a chorus that’s going to wreak havoc with your subconscious. “Body Language” has an almost movie score quality to it while being suitably shiny and bright. Rome Will Burn explodes natural high energy with an infectious enthusiasm. They are musically brilliant, while this EP just entices and draws you in. You just can’t help yourself but to follow. And listen or dance!